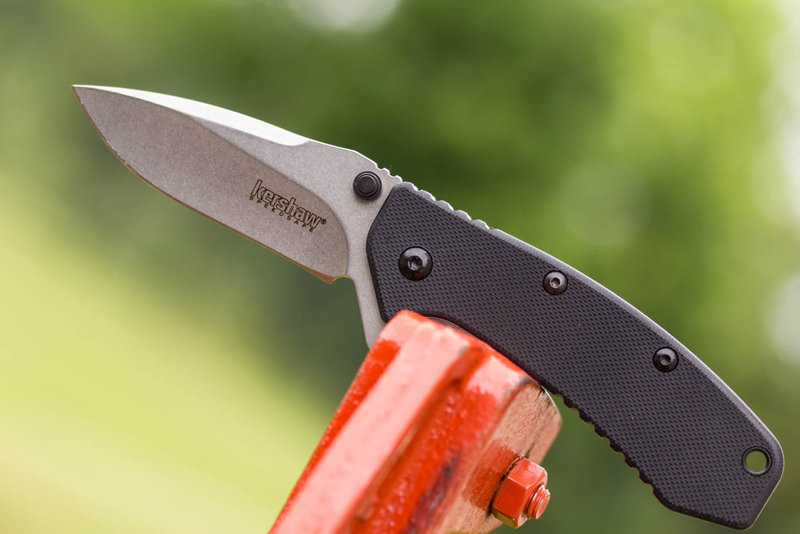 The Kershaw Cryo, designed by Rick Hinderer, is one of Kershaw's best-selling knives. 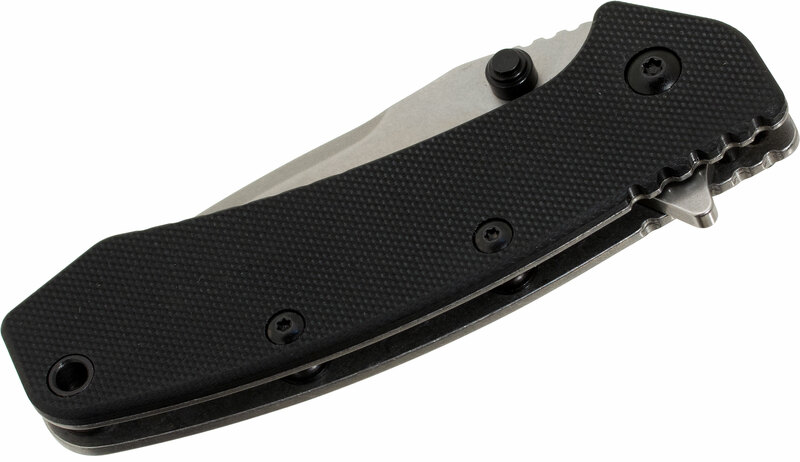 And now it's available with one of the most-asked-for modifications: a G10 front scale. This Cryo not only looks good, it also offers the extra grip some of you have been asking for. The G10 scale also lightens the overall weight of this very practical knife. 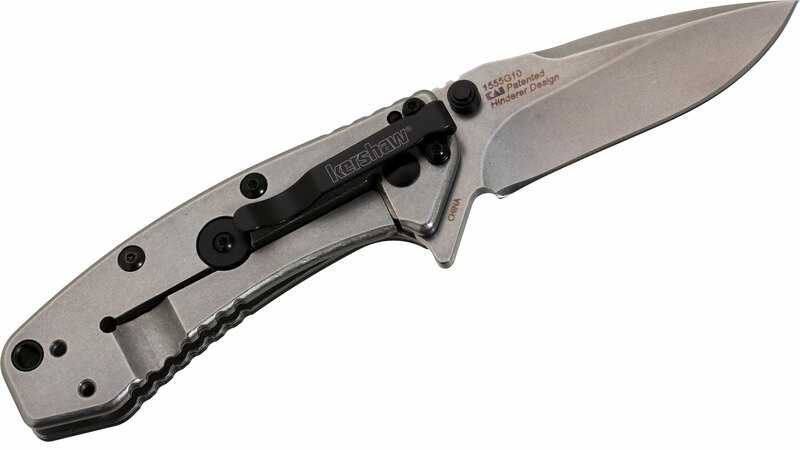 The Cryo was the result of collaboration between Rick Hinderer and the design and production engineers at Kershaw. It's designed to satisfy users' craving for a Hinderer knife, but at a price that meets the demands of their wallets. The original Cryo (model 1555TI) was selected as a Blade Show "Best Buy" and as Men's Journal Approved Gear. Like all Cryos, the G10-handled Cryo is equipped with SpeedSafe assisted opening for smooth and easy one-handed opening. Access it with the built-in flipper or thumb studs. 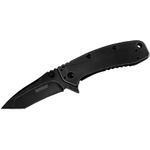 The blade steel is heat treated to Kershaw's exacting standards. The handle has a G10 front scale with a stainless steel back. A sturdy frame lock secures the blade open during use and a Hinderer lockbar stabilizer ensures the lock doesn't over-extend. The Cryo G10 is equipped with a 2-position deep-carry pocket clip for carry flexibility and discretion. 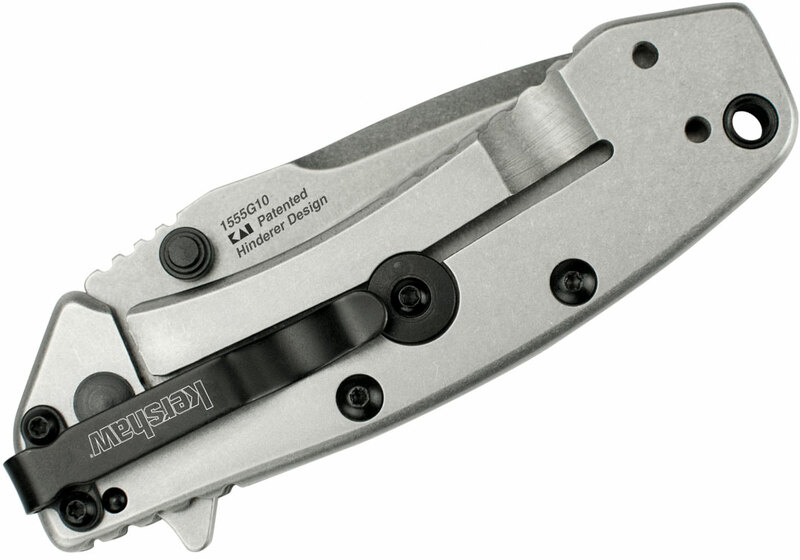 SpeedSafe - Assists you to open any SpeedSafe knife quickly and easily with a manual push on the thumb studs or pull back on the flipper; built into many Kershaw best sellers. Deep Carry, Reversible Pocket Clip - Pre-drilled holes in the handle enable the user to change either the tip position or the side on which the knife carries. Very fast opening with flipper. Very sharp. Fits well in my hand. This is the sharpest knife I have ever owned. The knife opens and closes with ease. I use the knife as EDC. Retired NCO Army. I collected knives through out my Army career but they had been through the Army. I wish I had known about Kershaw then. I would encourage anyone that wants an EDC and very sharp to buy this and other Kershaw knives. I remove the clips on my knives. I love the blade, the feel and easy opening. I use my knife everyday, so a good blade is important to me. This knife fills the bill and didn’t cost $150.00. Hey, I wanted to share "Kershaw 1555G10 Cryo Assisted Flipper Knife 2-3/4 inch Plain Stonewash Blade, G10 and Stainless Steel Handles, Rick Hinderer Design" with you from KnifeCenter.